Chicago, IL, 2018-May-17 — /Travel PR News/ — For 150 years Lincoln Park Zoo has connected people with nature in the heart of Chicago. Lincoln Park Zoo will celebrate this anniversary with a free, commemorative on-grounds exhibition: From Swans to Science: 150 Years of Lincoln Park Zoo, opening May 20 and spanning the summer. Guided by an Exhibition Pass presented by Wendella Tours & Cruises to 10 stations across zoo grounds, guests will learn about the zoo’s history – such as how it all started with two pairs of swans from New York’s Central Park Commissioners in 1868 – and contemporary care, conservation and community efforts. As a family-friendly included activity, guests can collect code words on each exhibition stop and fill in the blanks on the Exhibition Pass. Upon completion of an Exhibition Pass, guests will receive a small souvenir and can enter monthly drawings to win prizes including ADOPT packages and river cruises from Wendella. One Exhibition Pass per family unit. Participation is free. The exhibition runs May 20 to Sept. 3 during regular zoo hours. The zoo is hosting an opening day anniversary kickoff party on May 20, featuring a welcome from Chicago Tribune columnist Rick Kogan and Lincoln Park Zoo President & CEO Kevin Bell, plus an “old-time” photo booth, live music, and family-friendly activities. Lincoln Park Zoo members receive an exclusive sneak preview of the exhibition during Members-Only Morning on May 20 from 8 – 10 a.m. Not a member? Join today: lpzoo.org/membership. Throughout the exhibition, guests will also be able to “Meet an Artifact” daily at noon in Regenstein Small Mammal-Reptile House in an educational chat, purchase commemorative souvenirs at Wild Things! Gift Shop and participate in three 150thanniversary-themed Twilight Safari walking tours. Tickets for Twilight Safari are available for purchase at lpzoo.org/twilight-safari. The zoo plans to publish a celebratory book at the end of the year. The book will feature stories from zoo guests, staff and supporters. The zoo invites everyone to share their stories, artwork, or other submissions for potential inclusion to zoobook@lpzoo.org by June 1. For more information, an interactive digital timeline and a zoo history video, visit lpzoo.org/150. 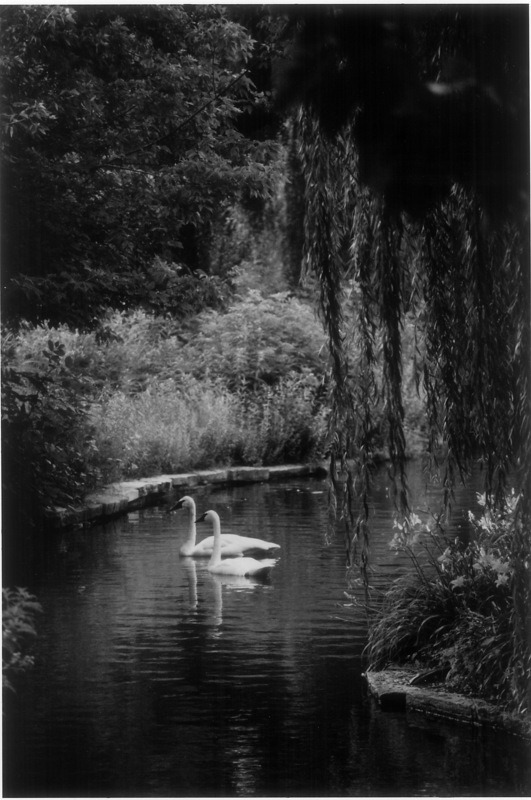 This entry was posted in Attractions, Recreation, Travel, Travelers, Zoo and tagged exhibition, From Swans to Science: 150 Years of Lincoln Park Zoo, Kevin Bell, Lincoln Park Zoo. Bookmark the permalink.